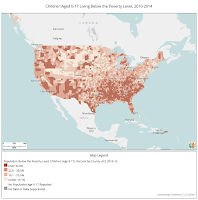 "Child poverty costs the US more than $500 billion a year". That's one of the messages from this Community Commons article. 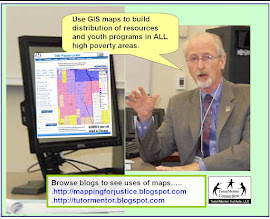 I've posted maps like this on this blog, and the Tutor/Mentor blog, for many years with the goal that many will use this information to support their own involvement in efforts that help kids, families and schools in areas where the map shows help is needed. I feel that organized, mentor-rich, non-school learning programs can be a strategy to get more people personally involved in combating this problem, while expanding the social capital (network of adults) who help kids overcome obstacles in their lives. Spend time reading this and other articles I've posted. Start a study group, a learning circle and a planning group that engages the time, talent and dollars of yourself, and people you know, in building local and global systems of support that help kids move through school and into adult lives and careers. This image is from an article I read today about "breathing life into numbers, drawing out the human stories that the data tell, and using those stories to inform dialogue and promote better policies" which has been my goal for almost 20 years. 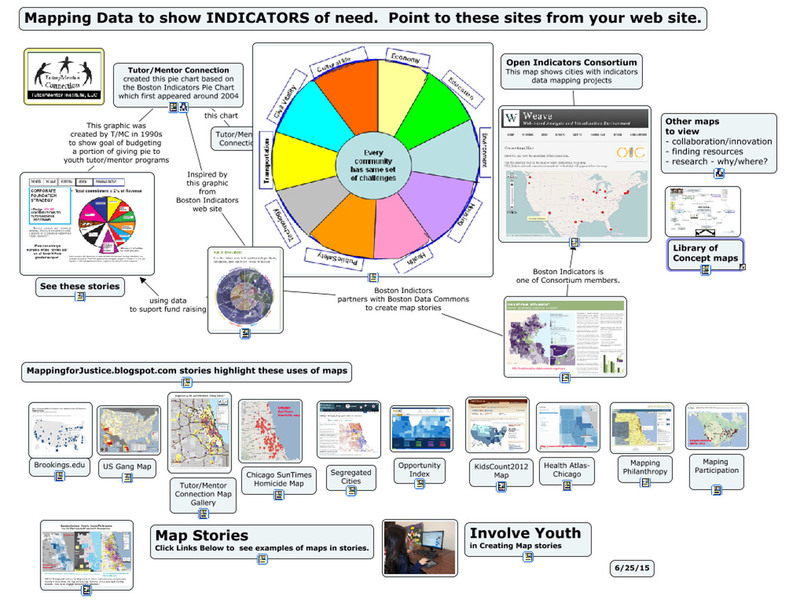 The story focuses on work by DATA2GO, a New York City resource. 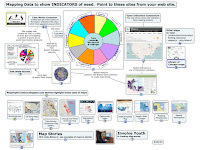 I've been aggregating links to data-story sites on this concept map and in this section of the Tutor/Mentor web library. Today I also watched a TED talk about making effective, interesting data-stories. You can view the video here, where it was embedded in a Vialogue, so I and others could add comments. 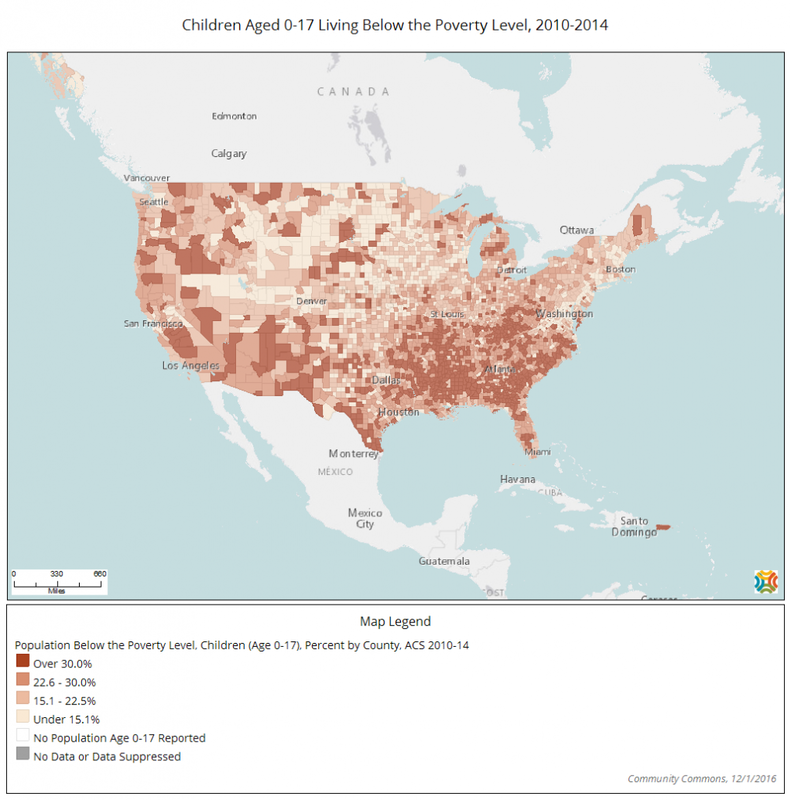 Without the ability to turn maps into stories, and repeat these stories in a variety of formats, on a daily basis, for months and years, it's impossible to attract the attention and support of all the people who need to be involved in building solutions to poverty, inequality, climate change, etc. I've been looking for people to help "breath life" into my stories for many years, as well as people who apply these story ideas in cities all over the world. This could be a student project, a company team project, or the mission of one, or many, organizations. Over the next four years as political attacks from the right and left dominate traditional and social media attention it is going to be more urgent than ever that people are working together to draw needed attention and resources to people and organizations working to help the disadvantaged, protect the environment, or solve other critically important problems.